5 years for cooking and 2 years for all else (when used in a domestic application). Do I need a licenced tradesman to install my oven? Yes, as this product is hard wired electrical a qualified technician must install it. Can my oven be installed under bench? Can the oven be installed at eye height? If I buy two ovens can they be stacked on top of each other, or side by side? Yes. For stacking, a custom supporting shelf or bracket system must be used for the stacked oven. Please refer to the manual to set the clock. If you have a pyrolytic oven this is the best way to clean it. Simply wipe out the residual waste once the pyrolytic cycle is completed. I have selected pyrolytic cleaning, why can’t I open the door? This is normal, the door locks after four minutes of operation. After the cycle is completed the oven door will remain locked as a safety measure until the oven cools down. Can I remove the glass door? Yes tools are provided, please see the manual for full details. This depends on what type of food you are cooking. ASKO ovens also come with many programs including some models with automatic programs. On which level should place my food? The oven has a printed numbering system on the inside of the oven advising where to place your food. Some models also tell you what level to put it on depending on the program selected. Can I open the door during cooking? Yes, except when using the auto programs. Is my oven child safe? Yes, all ASKO ovens feature a child lock door which can be activated as an option, and all have cool touch front doors. Do ASKO ovens have cool touch doors? Yes, all our models have either a triple or quadrupled glazed front door depending on the model chosen. Do I need special venting on my oven? No the oven vents from the front so there is no need for any special venting. Can I adjust my cooking temperature once the oven is on? Yes, simply turn the temperature dial or touch the temperature button at any stage during operation. Do I leave the door open during grilling? No the oven remains closed on all programs. Does my new oven come with accessories? Yes and this depends on the model chosen. The standard is trays, grids, and a deep pan. Does ASKO install gas cooktops? No as this product requires a licenced tradesman to install it. Can ASKO’s cooktops be used on LPG? Yes they can but you need to order an LPG conversion kit from ASKO. You cannot order other branded LPG conversion kits as they will not work. This depends on the size of your pot. 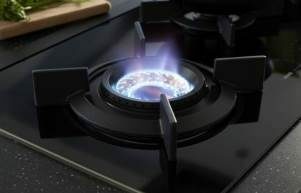 ASKO’s gas cooktops have different size burners depending on pot size, and what you would like to use them for. How high should I turn up the gas? The gas should not lap the sides of the pot. ASKO’s burners are highly efficient and do not need to be turned up to maximum power very time they are used. Do the cooktops have spill zones? Yes all our gas cooktops come with separate spill zones. Separate spill zones help contain your spill to one location. Why won’t the gas stay ignited after turning the cooktop on? After selecting the burner you wish to use turn the knob and hold the knob down for three seconds until the gas ignites. This is a safety measure and makes it difficult for children to accidentally turn on the cooktop on. Check your gas supply. If you have gas the flame may have gone out due to a door being slammed causing a gust of wind. If the flame does go out ASKO’s burners feature an Auto Cut out function, which turns off the gas supply to the burner. Can I put the trivets and burners in the dishwasher? When should I clean my cooktop? The best time is straight after cooking as you don’t want any spills to bake into the cooktop. Should I use abrasive materials to clean my cooktop? 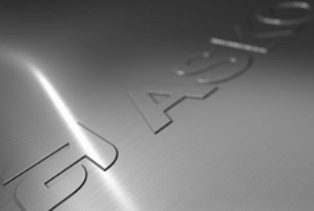 No, abrasive materials or harsh chemicals should not be used as they will permanently tarnish or scratch the stainless steel. What is the best way to clean ASKO’s gas cooktops? Do not leave the spill to sit until it cool down, clean the spill immediately. Use mild soap or detergents to clean it, or use a recommended stainless steel cleaner. What is the small steel holder shaped like a cross for? This is so you can support small pots. My wok burner comes with a wok support. Do I have to use it? It has been designed to specifically support the base of your wok. Does ASKO install induction cooktops? No, as this product is a hard wired electrical appliance a qualified technician must install it. Why won’t the cooktop work after I have turned it on? Have you place pots on it? Induction cooktops will not operate unless they have a pot on them. Do I need special pots? Yes they must be steel. All new pots are marked for what type of cooktops they can be used on. Can I use my own pots? Yes you can. An easy way to test if they can be used is to place a magnet on the bottom of the pot. If the magnet attaches to the pot they are fine to use. What is the best type of pot to use? Pots that have an induction approval logo on them, this is normally found on the base of the pot or pan. Will the zone detect the size of my pot? Yes, it will detect how small or how large the pot is and adapt in accordance. Which zone should I use? Use the zone that best suits the size of your pot. How do I know when the cooktop is on? The temperature control will light up. As induction has an extremely rapid heat up time you will need a little trial and error with this. When you first use it set it at a lower temperature than what you used with your previous cooktop. How do I turn off the child lock? Hold the lock button down for 3 - 5 seconds depending on the model. There is a buzzing noise coming from my cooktop. Is this normal? Yes this is how an induction cooktop operates. You will also feel a slight vibration in your pot. What is the best way to clean my cooktop? Use mild detergents and a damp cloth. 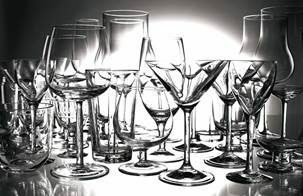 Do not let spills burn into the glass as these are harder to remove. How should I place the pots on my cooktop? Make sure they are free of any grit on the bottom of the pot or pan. Foreign matter on the bottom of the pot will impede the performance of the cooktop. Do not slide the pots or pans on the glass as this may scratch the glass. Simply put them down. The cooktop lights and controls turn on but there is no heat? Can ASKO rangehoods be vented externally? Does ducting come with the rangehood? No it doesn’t, flexible or rigid ducting is not supplied with the rangehood. How far can I duct a rangehood? Please refer to the manual. The further away the ducting travels to the emission point the airflow will reduce. 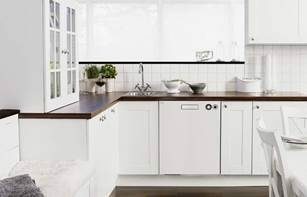 Does ASKO have recirculating rangehoods? Yes, please check which models as not all can be recirculating. Why doesn’t my rangehood clear away odour? Firstly increase the speed you have selected. 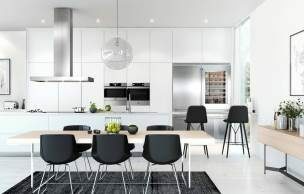 ASKO rangehoods have a boost function for difficult to remove cooking odours. When should I clean the aluminium filters? Most ASKO models will indicate on the control panel as to when the aluminium filters should be cleaned. 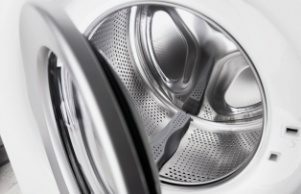 Aluminium filters can be washed in a dishwasher. Carbon filters cannot be cleaned, they have to be replaced. When should I replace the carbon filters on a recirculating model? Our recirculating models will indicate on the control panel when the carbon filters need changing. This depends on the type of cooking and how much oils and fats are in the foods being cooked. Do ASKO rangehoods have a timer function? What is the AirClean function? This is found on some models only. It turns the rangehood on for a period of 10 minutes every hour. Does ASKO recommend any type of ducting? What diametre should the ducting be? 125mm - 150mm depending on the rangehood. Do ASKO sell replacement filters? Yes, we sell aluminium and carbon filters for all our ducted and recirculating models. Can you extend the flue? Yes please check the instruction manual for measurements. Does ASKO sell flue extensions? No you will have to consult a local steel fabricator to produce a flue which extends above what ASKO supplies with the rangehood. Yes as the dishwasher will not remove large food particles. Please refer to your use and care guide for instructions, or contact ASKO’s Service Department toll free on 1300 00 2756. This depends on the type of load you are wishing to wash. Please refer to your use and care guide for full washing instructions. For best results do not over load the washing machine. The maximum amount of clothing is 7kg. This option is available only on 7 - 8kg models. Hold the start / stop button down for three seconds and the washing machine will drain enough water to allow for the door to open. Once you close the door the washing machine will remember where it is in the cycle and recommence. ASKO recommends that you clean your washing machine every six months or when you smell an odour from the washing machine. To clean your washing machine select a heavy wash at a 90°C temperature, put descaler in the detergent dispenser and press start Please note DO NOT put any washing in the machine during the cleaning phase. No, except for cleaning the filters the same as any of our other dryers.